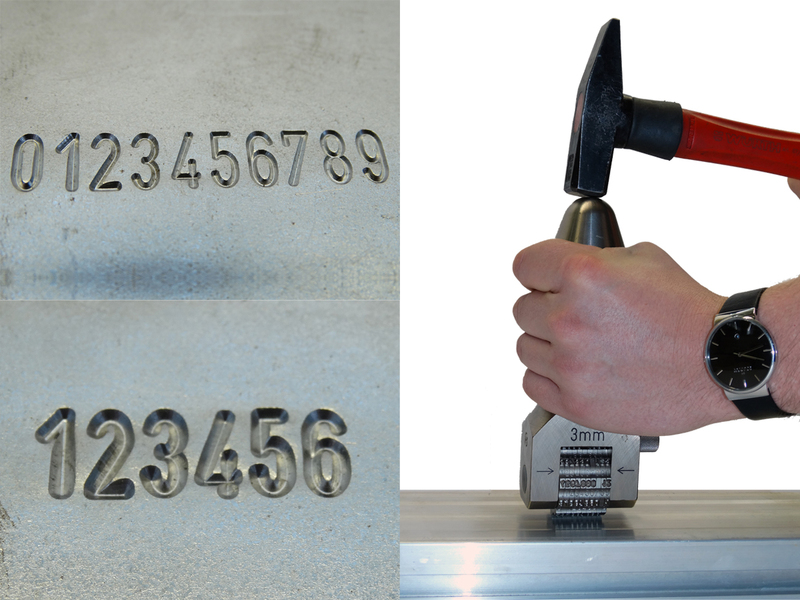 The manual stamping tool is the ideal solution for precise manual stamping of numerals and letters. You have a free selection of 2 to 10 characters, from 2 to 10 mm typeface height. The sturdy design with impact cap, base frame, hand protection and iron shaft guarantees reliable operation. Special typefaces on request: Reverse engraving, lower case letters, 2D engraving, dot-face characters, distinctive lettering. 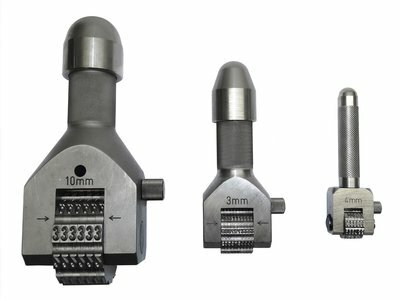 The manual embossing tools can be supplied with frames to centre the punch on round or flat parts, with hand protection or with iron shaft.